Dr Doni highlights one of our best strategies for preventing cancer – preventing oxidative stress. The term “oxidative stress” is mentioned all the time in the realm of science and nutrition, but it is not often clear what it means for your health. In fact research indicates that oxidative stress is an underlying cause of cancer, so understanding and preventing it is a smart strategy for your wellness. Today, I’m going to explain what it is, give you some signs to look out for, and some simple steps you can take to prevent it. The process of oxidation happens as our bodies metabolize (or process) the oxygen that we breathe and our cells produce energy from it. This process also produces free radicals –which interact with the molecules within our cells resulting in damage (or stress) to nearby cells, mitochondria, and DNA (our genes). Oxidation increases when we are physically and/or emotionally stressed. And as long as you have enough anti-oxidants, a careful balance is maintained and damage is prevented. Oxidative stress happens when the amount of free radicals exceeds the amount of antioxidants. That’s when oxidation damages our cells, proteins and our DNA (genes). 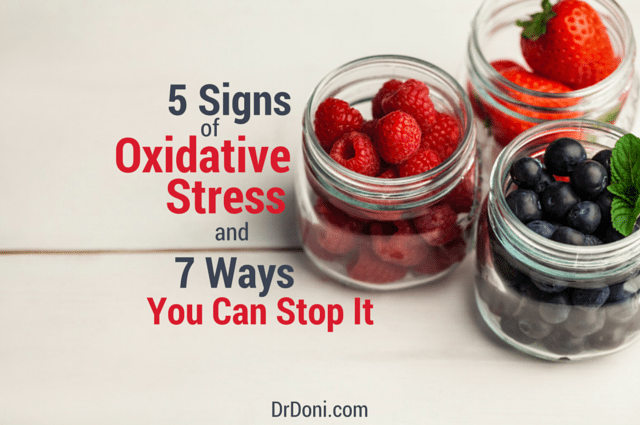 How Do You Know If You Have Oxidative Stress? Oxidative stress has also been associated with numerous health conditions including chronic fatigue syndrome, fibromyalgia, diabetes, Alzheimer’s disease, anxiety, insomnia, cancer, and more. I feel so strongly about helping you address and prevent these conditions that I decided to write a whole blog series about oxidative stress covering a different condition in each article. Find that blog series here. There are two ways to reduce oxidative stress. Avoid exposure to unnecessary oxidation and increase your anti-oxidants. Let’s look at each of these in turn. As I said at the top of this article, oxidation increases when we are exposed to stress, toxins, and infections. It is also increased by sugar and chemicals, so the more you can minimize your exposure to these things, the better. Choosing organic foods and avoiding toxins in your environment makes a big difference. Reducing stress helps too and can be done with what I refer to as “daily stress remedies”. Here are four steps you can take to reduce unnecessary oxidation in your body. When the body has to process sugar it also creates oxidation and the more sugar we eat, the more oxidation happens. Processed foods often contain sugar and/or other chemicals that also result in oxidation. Eating large and infrequent meals also creates more oxidative stress, so balancing your blood sugar by eating smaller, frequent meals, also helps. To learn more about how to avoid sugar and to balance your blood sugar, click here. When the immune system is fighting off an infection, it ends up creating oxidation which is why, when you get sick, it drains your body of energy. I encourage you to have a strategy to avoid catching colds and infections – sign up to receive my cold/flu survival guide here, and if you have been getting frequent infections, let’s meet and come up with a plan to prevent another. You can book an appointment here. For a helpful one-page graphic that you can print out and stick on your wall to remind you, click here. I also cover these “stress remedies” in detail in my ebook called Stress Remedies available at Amazon for 99 cents. Choose organic foods and avoid cigarettes, candles, hair and nail salons, carpet, exhaust fumes and plastic. Check your personal care and cleaning products for toxic ingredients and replace them with non-toxic alternatives. Learn more about toxins in personal care products and how to avoid them here. 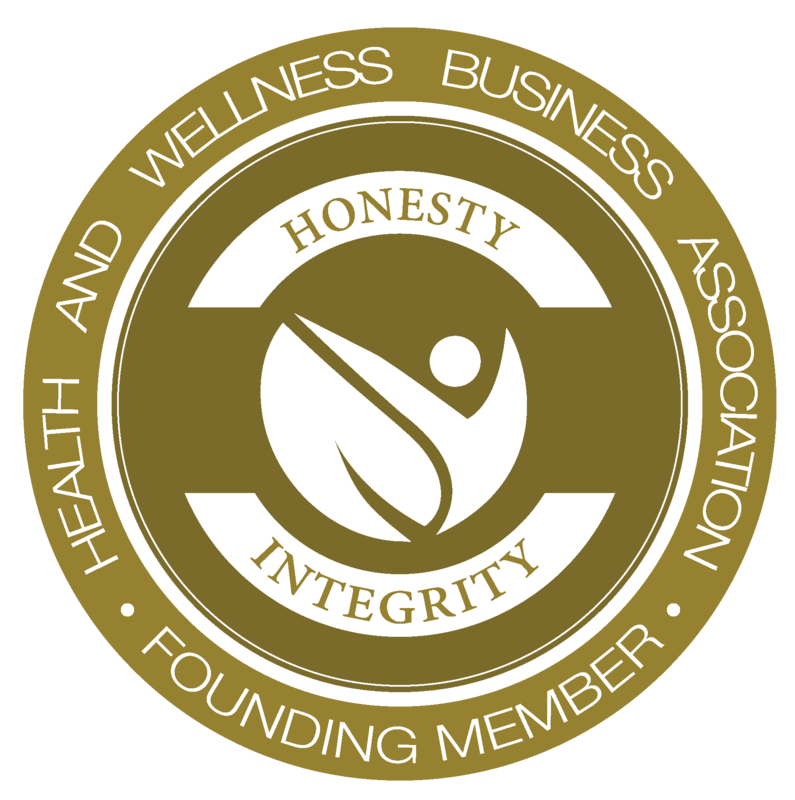 For complete details on how to reduce your toxic exposure, be sure to check out Chapter 8 of my book The Stress Remedy. No matter what you to do avoid them, you are going to be exposed to some toxins and stress, so your next step is to increase the anti-oxidants you have in your system either by helping your body make more, or by consuming them in food or supplements*. What anti-oxidants do is block oxidation. They squelch it and make it non-harmful! One of the most powerful anti-oxidants is glutathione which is produced by the body. It is made from three amino acids – glycine, glutamate, and cysteine – and it contains sulfur, which is what makes it so effective. Or even a high quality multivitamin containing antioxidants, such as MultiONE. There are also supplements containing actual glutathione, which is especially helpful when your levels are low and if you have genetic SNPs that may cause your levels to become depleted. It is important to choose a product that is either sustained release (see an example here) or has non-soy, non-GMO phosphatidylcholine to increase glutathione absorption (see an example here). The more anti-oxidants you eat, the better you can counter oxidation and prevent oxidative stress. Find a product with all of these herbs in one here. You can also find many more supplements containing anti-oxidants at DrDoniStore.com in the anti-oxidant category here. Now you’ve got it. Protecting yourself from oxidative stress is as simple as protecting your cells by providing what your body needs and avoiding what it doesn’t need. Knowing that we are all exposed to stress and toxins, and potentially infections, on a daily basis, choosing ways to reduce stress and increase anti-oxidants will help you prevent cancer and to live a longer, healthier life. If you’d like one-on-one help to address oxidative stress, I encourage you to contact a naturopathic doctor. I offer a special consultation package specifically to help address oxidative stress. Read about it here. What is your favorite way to boost protection from oxidative stress? Please do share your ideas and comments below. Make sure you’re getting enough vitamin C and vitamin E in your diet too. These are two antioxidant vitamins that counteract free radicals. Now that I’m growing asparagus I will have to say it has solidified its spot as favorite oxidative stress reducer in my life. Steamed with a touch of Japanese mayonaise, chopped in my eggs with red onion, and now I often have one when I’m picking the asparagus. I eat the ones that are too tall to serve at the table. Love it, that’s great Doug! There are many products available that contain some or all of these ingredients, and others that hep with oxidative stress… so it is good to always evaluate how you feel you are doing with what you are taking and may want to trade out to others every so often just for variety. Did you have other recommendations instead of Protadim that have the same good ingredients, without corn fillers? Thanks in advance!! I don’t know of a product with exactly the same ingredients, but you may want to check out my follow up post listing 10 supplements that help with oxidative stress http://bit.ly/alzheimers-prevention. Have you heard of Spectramax & FuCoydon supplements? My husband was diagnosed with Sarcoidosis & we would love your help!! I’ve not heard of those supplements, but I’m happy to help. If you’d like to set an appointment, please be sure to visit DoctorDoni.com/appointment. I have graying hair and beard and chronic fatigue at 27. I have started taking 25 grams of spirulina powder (full of tyrosine and copper) and indian gooseberry (rich in vitamin C) and I drink a green smoothie (apple, banana, honey, spinach, and spirulina) in it. A cup of green tea each day and also two brazil nuts for selenium along with this. As part of my regular diet, I eat beans and salads and brown rice mostly. Do you think that’s enough to prevent further graying and reversing my oxidative damage that has taken place? I also have hair loss so I am taking vegan pea protein…I am vegetarian btw. Please advise. And this has been a wonderful article. It sounds like you are doing all wonderful things to support your body. If you find that you are still fatigued, then yes, I think you may want to consider adding in more support for your body. For the most comprehensive support, I would need to meet with you so that I understand your body and what may work best for you. If you like, you can use the online scheduling calendar here: DoctorDoni.com/Appointment or feel free to email my assistant at [email protected]. You need more foods rich in protein, I use MRM brand veggie plant protein shake 2x a day (made w 1/2 as much water so I can spoon it up). I add Pb Fit and chia seeds sometimes to combat my body’s need for more energy but still keeping caloric intake low. Just because you do not feel hungry doesn’t mean your muscles don’t need a boost of nutrients, especially if you workout daily like I do. Great Article! So how do you explain the fact that antioxidants are being shown to increase the risk of metastasis of melanoma? There is some very interesting research related to melanoma in animals and how oxidative stress could actually slow metastasis. Makes sense since oxidative stress would damage the cancer cells. So I would say that this is all the more reason to always individualize the approach you take and to work with a practitioner who can review which and how much of any nutrients and/or antioxidants are appropriate for you. Nutrients that may be good for you when you don’t have cancer may not be good for you if you do have cancer. and am curious to know if you have any specific suggestions with regards to effective treatments and whether there may be any known supplements &/or therapies that show promise of a cure for pyroluria? Perhaps you’ve read already that pyroluria improves with B6 (P5P) and zinc, as well as GLA. It is important to work with a practitioner who can help you to evaluate your nutrient levels and how the pyroluria treatment overlaps with other concerns in your body. What about children that may present with oxidative stress low glutathione? Yes, good point! Children can have low glutathione too. It can be present with neurological issues, asthma and allergies, rashes and digestive issues, and for any history of infection. Hello and thanks for writing such wonderful information. Is there a good test that can show your glutathione level and rate it according to only your body and not a national average? Hello Kathy! And you’re welcome! Yes, there is a blood test for reduced glutathione – but it is not a test that the stand labs will run. You’ll need to have it ordered through a specialty lab and by a practitioner who is aware of this type of testing. I’m happy to help further if you’d like to arrange a consultation (can be by phone). Find out more on the make an appointment page. You’re welcome! I’m glad it was such a help. Great blog post, thank you for this succinct info. I am an acupuncturist looking for some info for myself on this topic. Nice work and it’s nice to see someone so committed to their field as you do.